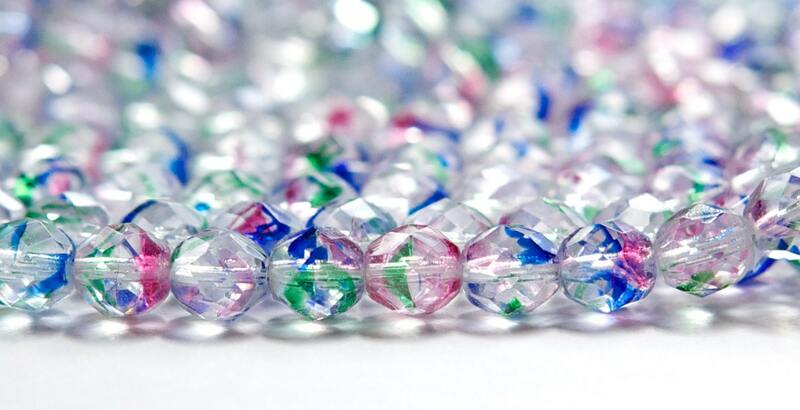 Characteristics: The beads have an all over faceted surface. 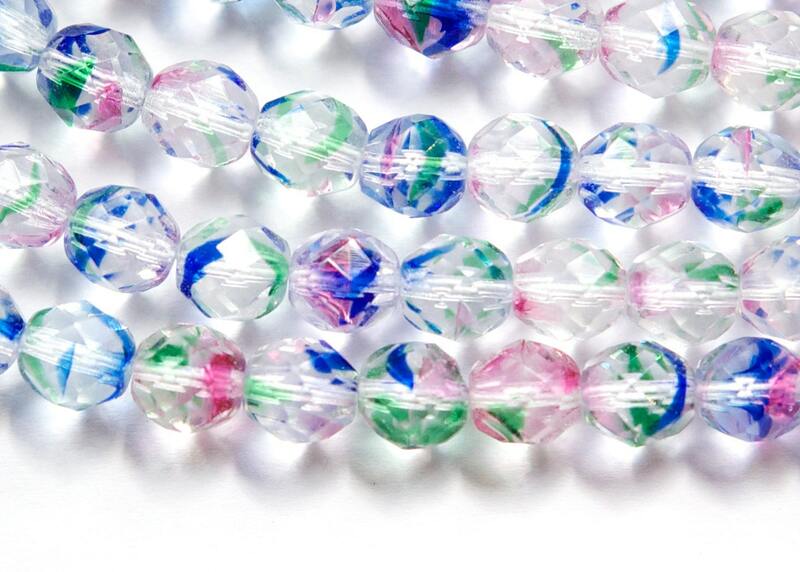 These are a clear bead with blue, green and pink stripes. Color: Clear, Pink, blue and green. Additional Information: The amount of stripes per bead varies. Greatly item, great seller, very happy! Highly recommend! GREAT Seller! Arrived Quickly in Great Condition. Always a Pleasure. Nice item. Thanks so much! !